The recent movement in anthropology, often referred as the ‘ontological turn’, in its ensemble proposes among others also a new way to understand the concept of participation. It even presents a radical revaluation of participation, which is essential. This revaluation not only breaks the paradigm limited by the naturalism, understood as the opposition between culture and nature, that shaped European modernity, but it also interrupts a long-lasting philosophical politics of relation that has been centred on a powerful and far-reaching Platonic interpretation of participation (as the idea/form in the particular) constraining relationality and that has been constitutive for occidentality as such. The ethnographical and anthropological work of scholars such as Philippe Descola, Eduardo Viveiros de Castro, Tim Ingold, Nurit Bird-David, Marilyn Strathern and Alf Hornborg have demonstrated that such divide between culture and nature and the consequent politics of relation are only a modern European product and crucial instantiations of Occidentality. To give a few examples: Descola has systematically compared naturalism, with totemism, analogism and animism, and showed that nature does play an active role in the everyday practice of culture, not simply as resources to be exploited, but rather as merchandise of souls; Viveiros de Castro has developed the Amerindian perspectivsm and multinaturalism by bringing into dialogue these concepts on the notion of intensity proposed by Deleuze and Guattari; Tim Ingold has developed a phenomenological anthropology which deepens the understanding of the relation between humans and their milieus and leads us towards a relational ecology of life. Nurit Bird-David has focussed questions of relatedness beyond modernist dichotomies in her work and called for an attention and care for relations and in consequence for a relational epistemology (as did Marilyn Strathern, Helen Verran, Stefan Beck among others). Alf Hornborg has also emphasized the epistemological implications considering relational ontologies as a form of knowledge and, this is crucial, he has emphasized the specific technical and political-economical substrate of the modern politics of relation that we have to overcome. Altogether we could speak of a new ontopolitics of relation and in consequence also a relational epistemology taking shape in these inspiring works. The general thesis of this workshop is that a radical reconceptualization of participation takes place in the wake of modern naturalism and that this is as such an essential moment of the ecologization of thinking currently presenting as the theoretical-political challenge of our time. Participation thus reconsidered offers us a profoundly relational and intensive model to analyse the modes of (co)existence of non-humans and humans as well as other ecologies beyond the nature-culture divide. Today’s social and cultural anthropology and ethnology has to be considered as an outstanding scene of this crucial reconceptualization. Focusing on it’s manifold reconsiderations of relations and relations of participation is therefore of utmost importance and interest for contemporary thinking. While it might be argued that the revaluation of participation to a certain extent remained implicit in the contemporary social and cultural anthropological works we would like to foreground it and stimulate more explicit reflections on it. This is a first goal of the workshop. 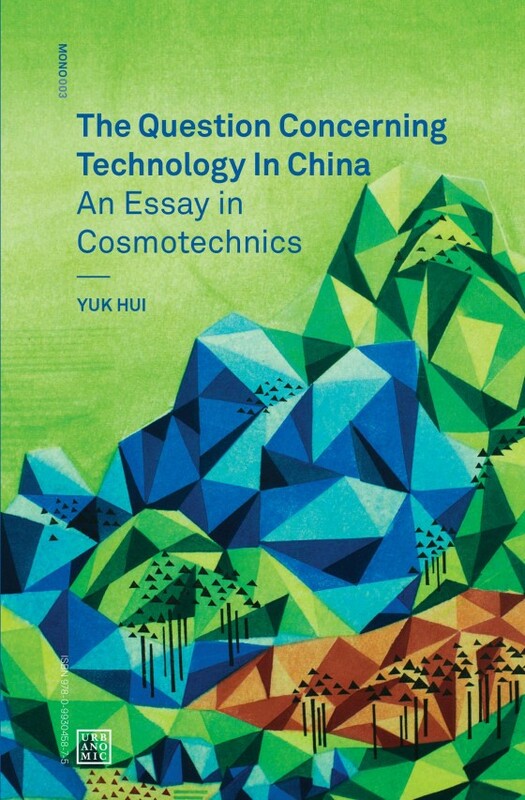 A question that remains to be deepened in most of the above mentioned ethnographical and anthropological works, but also beyond it is: what is the role of technics or technology in such a participative re-composition of the world? And in what ways are these social and cultural anthropological theories maybe significant for thinking through our contemporary global technological condition that is also characterized by the opening up as well as the exploitation of new forms of relationality? 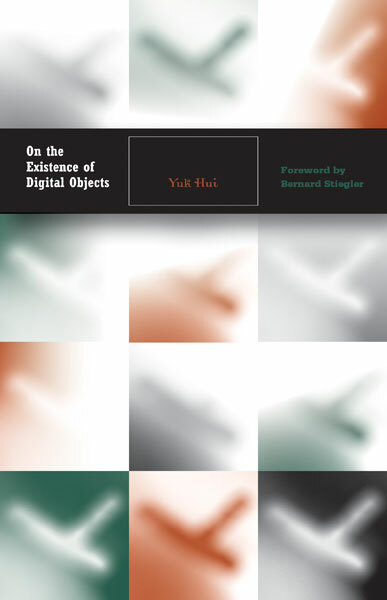 We assume that the tension between ontology and technics has to be taken into full account in order to avoid what might be called a fascination with the non-modern that is significant for many of todays cultural-theoretical and artistic translation of contemporary ethno-anthropological work; translations that often seem to promote some kind of simple return to ontologies before the nature-culture-divide as if the problem of modernity is merely a theoretical one, which could be resolved by recognizing the ontologies of the others or by resetting oneself like a malfunctioned apparatus and as if we could talk about an economy of the body and the soul without taking into account the question of technics––the exteriorization of memory and organs that André Leroi-Gourhan has profoundly analysed. Hence in addition to the focus on the diverse expositions of a primary and constitutive relation of participation, we would like to propose in this workshop – and this is its second goal – also to consider the question of technology in such reconceptualizations of participation as well as in the anthropology of nature, to explore the relevance of the relation of participation in the technological exposition of relationality and it’s role in the rise of a new politics of relation associated with it. Could participation be the crucial relation for the ontological and epistemological redescription so pressing under the technological condition? And – at least as the horizon of this workshop – we would also like to ask what a techno-ecology of participation – instead of simply talking about networks and data circulation – can and will have to look like. 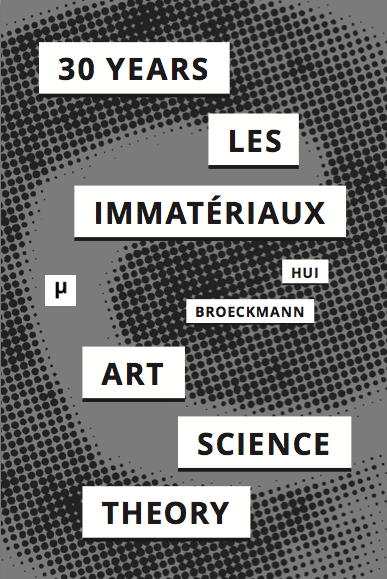 To tackle these complex questions the workshop will bring together leading anthropologists as well as outstanding scholars from the field of cultural theory and media theory in order to discuss these far-reaching and virulent issues. 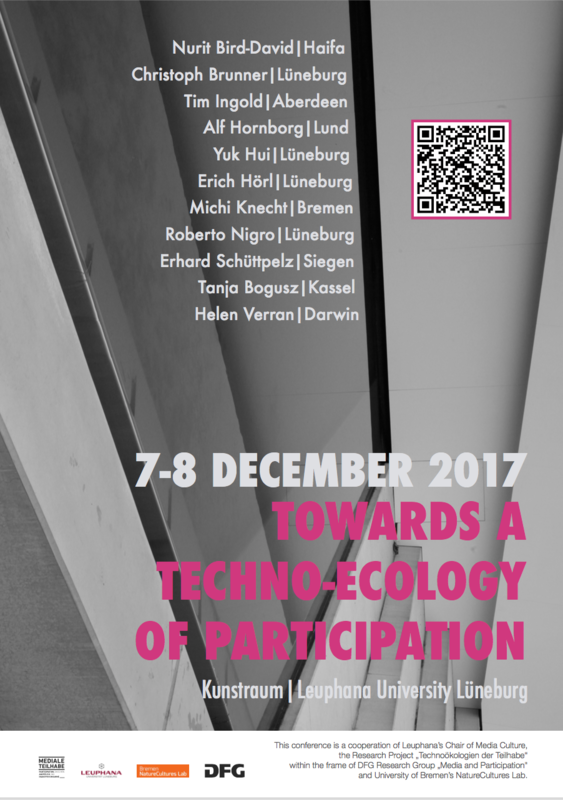 This conference is part of the research project Techno-Ecologies of Participation: New Perspectives from Media Philosophy and Anthropology based at Leuphana University of Lüneburg and is organized in cooperation with the University of Bremen’s Bremen NatureCultures Lab (BNCL). It is funded by the German Research Council (DFG) and takes place within the frame of the DFG-Research Group “Media and Participation”.